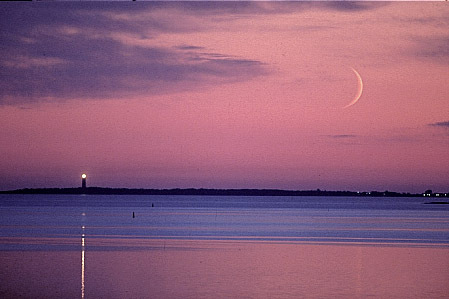 Setting or rising moon low in horizon is always inspiring. 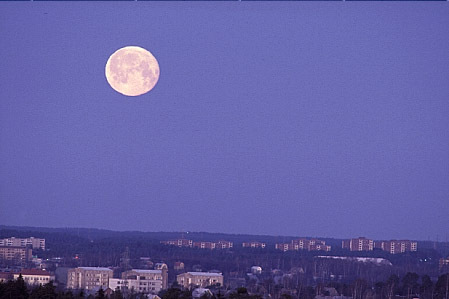 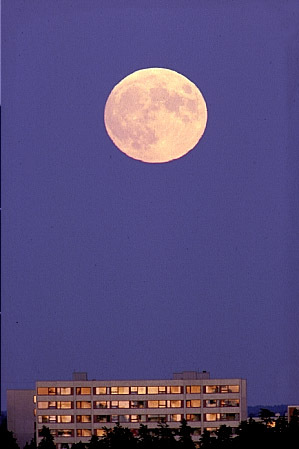 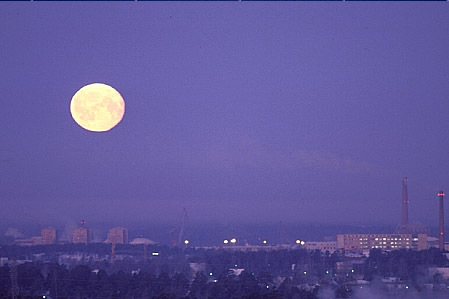 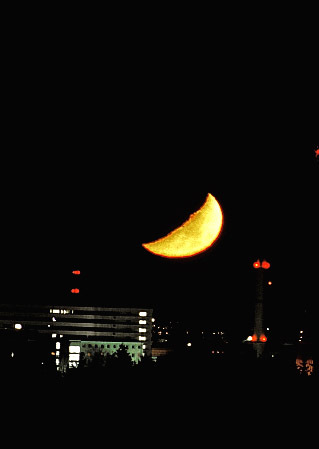 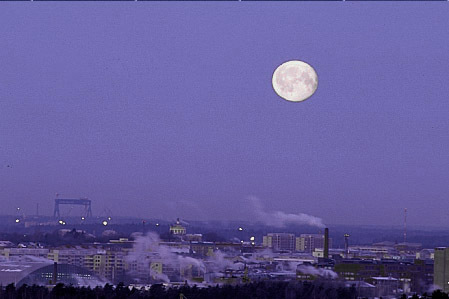 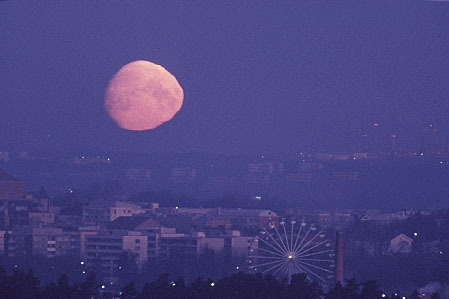 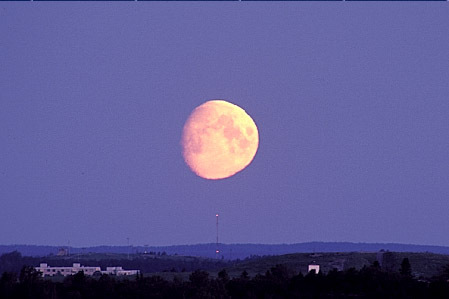 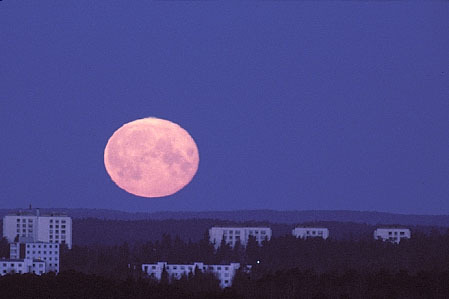 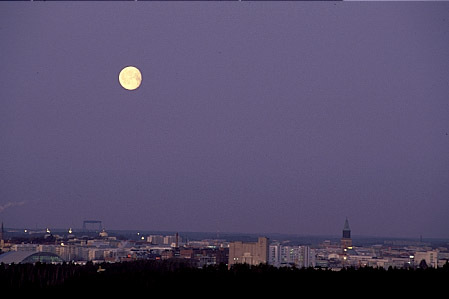 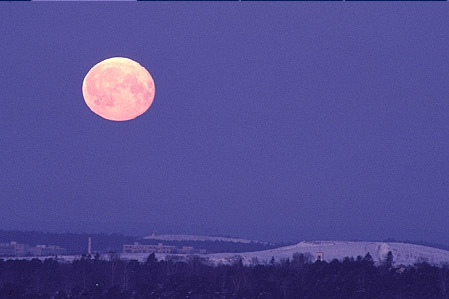 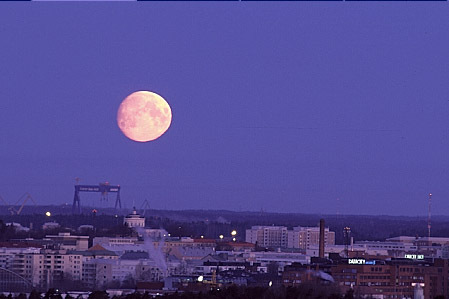 Many times full moon is detected low above road while driving to work in the morning or back to home in the evening. 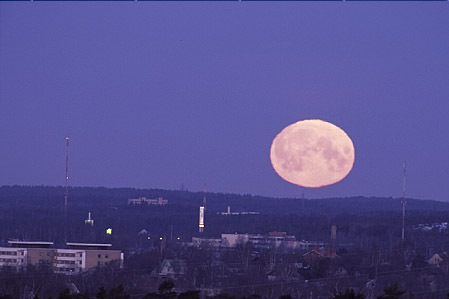 And every so often an illusion is born of a larger diameter of moon, but indeed, this is just a fake observation: to be accurate the angular area of moon is less in horizon than when it is high on sky. 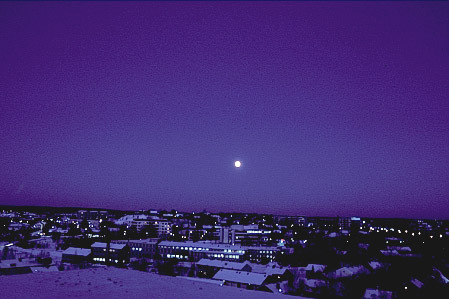 There is no widely accepted explanation to this illusion. 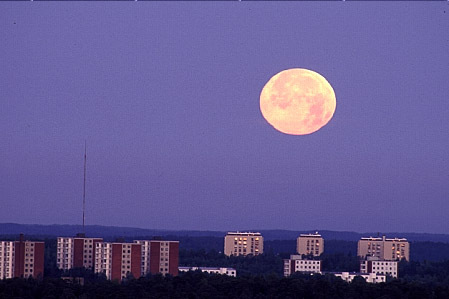 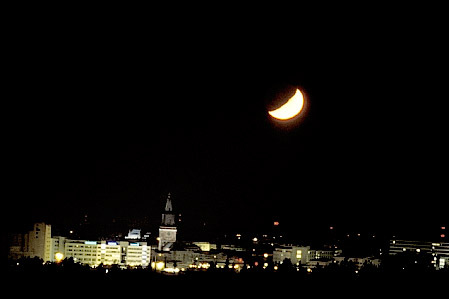 From current flat I have an open view to all directions (horizon 20+ kms away) and thus in future there will be more chances to follow moon set and rise.